Saturday May 6th grab your friends,grab your grandmaw, your bicycle and head on down to Skyline park to learn how to play hardcourt bike polo.set up is at 1pm we will start playing at 2pm. don’t want to play? just come out to watch then.we hope to see ya there. We put in 16 volunteer hours at the Skyline park and cleared away so much dirt,leaves,and glass on the court. next step is putting in baseboards.it’s shaping up.more work and polo days to come so stay tuned.oh yeah and the big dog on the hill we named Oscar. Sunday April 9th 2017 1pm-Skyline park polo court cleanup. 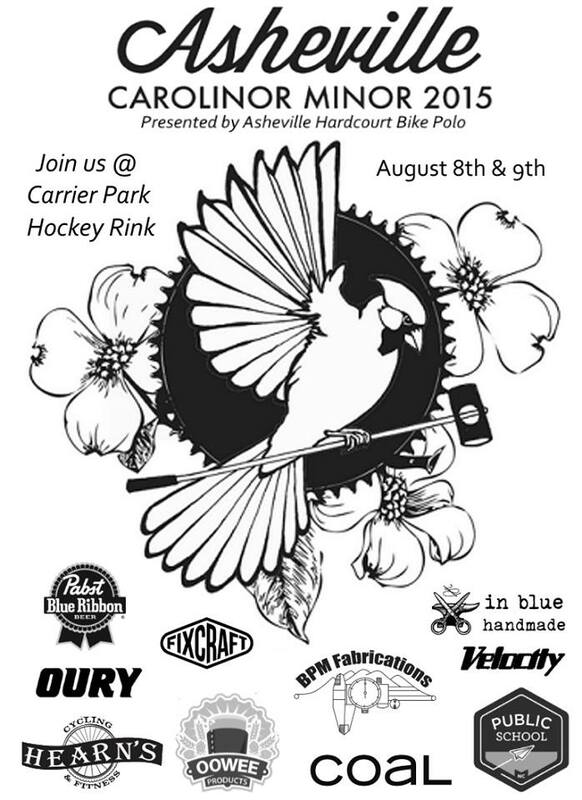 Knox parks and rec department has given us an official court to use, build up ,and grow bicycle polo here in Knoxville.we will be picking up trash in the park, cleaning and sweeping the courts from debris,and coming up with any ideas to make the park better in general.we will have trash bags but feel free to bring an extra broom,rake,etc.we could never have enough help.bring your bikes and when we’re done we will play bike polo and have cookies! Come on out to Dream Bikes on Thursday March 30th 2017 from 7:00pm-8:30pm and learn about the glorious emerging sport known as Hardcourt Bike Polo! we will talk abut how this crazy awesome sport came to be,todays current game play,our new courts that Knoxville parks and rec have given us to use and build up,and watch some excellent highlight videos to show you exactly how it’s done.so visually appealing that your eyes will be playing before your body does! so grab your friends,jump on your bikes and head on down to dive head first into the fun and addictive world of Hardcourt Bicycle Polo and learn how you can get involved. Skyline park courts on Beaman lake rd. We are currently in talks with the Knoxville,TN parks and rec department about adopting the skyline park tennis courts to update for bicycle polo courts. more updates to come so stay tuned. WHBPC 2017 will be hosted in Lexington, KY Oct 2nd 2017! Mark your calendars and start saving up your money now! WHBPC main event will be a four-day event during the week of October 2nd, 2017. Additional pre-and-post events may be coordinated in the months to come. 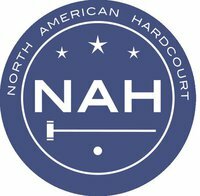 NAH will be launching a WHBPC website for up to date details for travelers including information on suggested airports, dining, housing, and a daily schedule of WHBPC events. We are working on finalizing the total number of teams, and the continental allocation of spots for the event. The tournament will be hosted at Coolavin Park on three co-located courts. All courts are 120’x60′ with full 4′ perimeter boards and symmetrical court entrances. The park offers some natural shade and shelter, and the courts have lights until 11:00pm. The park is adjacent to local food vendors offering diverse dining options within walking distance to the event grounds. Designated player bike parking with controlled access will be setup for players as well as a player’s grotto. First aid, refreshment, admin, and media tents will be strategically located around the courts. To establish a more festival atmosphere surrounding WHBPC, a children’s area and lawn games area will provide activities for players and visitors who come to the park. WHBPC will be streamed live. Details on the stream will be announced on a later date. Lexington BP is one of the most established clubs in North America, and has a long history hosting major polo events. They have hosted NAHBPC in 2015 and NAH Bench Championship in 2014. Lexington has also hosted Ladies Army and events such as Fixcraft’s Fixcamp. 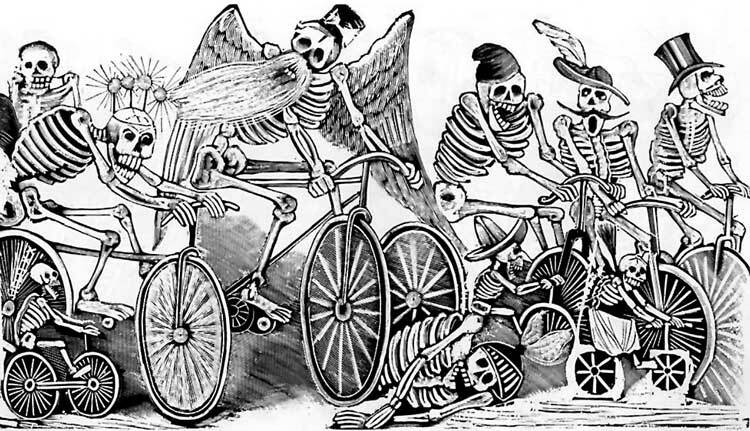 The club has already been a major contributor to the bike polo community, and they are excited to welcome players from all over the world. For questions, please contact Alias Tagami (alias@nahardcourt.com) or Mark Aseltine (mark@nahardcourt.com). It’s POLOWEEN time in TENNESSEE once again kiddies.so grab your trick-or-treat pillowcases and head on down to knoxville for a spooky weekend of polo,horror,and candy comas.after fighting our way out of the hoards of flesh eating zombies we shall be playing at concord park street hockey court in west knoxville. it’s right next to the lake(no not crystal lake) so if it’s not cold you can take a dip,and a mini skate park is next door too. double elemination,candy, and more shenanigans. if it’s not hot, dress up! more details to come on possible housing,sponsors,and if we want to make this podium official or not,etc. SOUTH IN YO MOUTH 2 !!!!!!!! 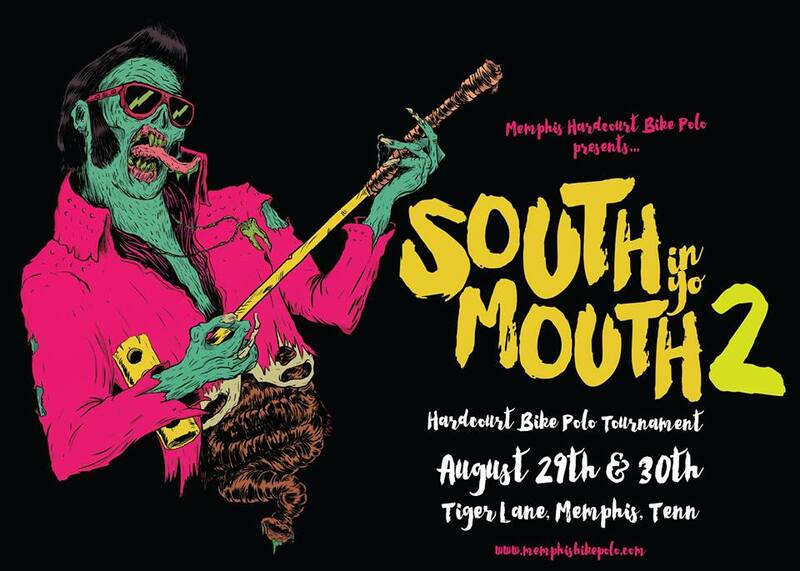 Alright, so south in yo mouth 2 will be going down august 29th and 30th in MEMPHIS,TN at the liberty bowl stadium. that’s right, bike polo at a stadium! two days of awesome polo fun. day one will be swiss rounds, and day two will be double elimination.they even had sweet t- shirts made.so this id going to be a killer weekend. community bike polo demo day at northwest middle street hockey court. The big day is here. 10 years old,10 years of hardcourt bike polo in the scruffy city! on this day we shall party like no other has every partied!